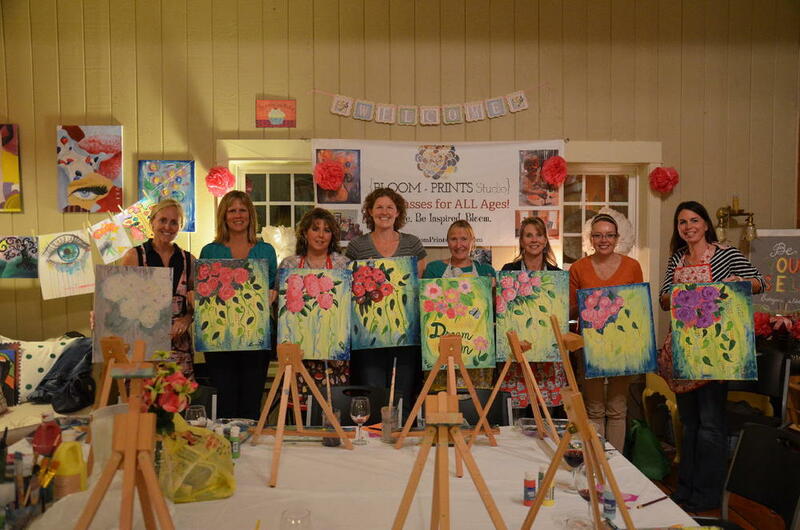 Ladies Painting Night: "Fun-Fetti" Flowers! Our last Ladies Painting Night was such a lovely evening. Wine in one hand, paint brush in another,...painting confetti flowers to the soothing vocals of Priscilla Ahn and Mindy Gledhill. And the company of these ladies was even more lovely. I was so thrilled at their results. Please check them out and check out our website here if you ever want to come paint with us! I am always so thrilled and amazed how every interpretation turns out different, from the same direction! It makes me giddy to encourage creativity and watch each individual personality literally "bloom" before our eyes! Each lady...darling and their paintings simply gorgeous. Please come back and create with me again, ladies!